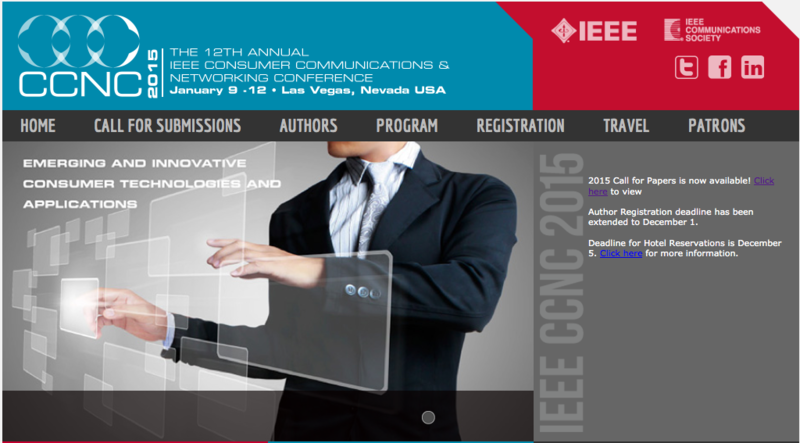 Our paper submitted to IEEE CCNC 2015 is accepted for publication. This is the first reviewed conference proceeding paper “purely” developed within our research group. Congrats, Fujino-kun!